The second part of this blog continues the theme of inspirational women in Jerusalem who are somehow connected to the ten kilometre route of the Jerusalem marathon. I hope that when energy levels are flagging as you do battle with the hills, remembering the dedication and perseverance of these female residents of the city will encourage you to pick up the pace and make it to the finish line. I’m impressed that you’ve even made it out there to the start! Your course now takes you inside the Old City Walls where you will enter via the Jaffa Gate and skirt the Armenian Quarter before exiting through the Zion Gate. A few metres beyond the Zion Gate is the beginning of the Jewish Quarter. I would like to focus on one valiant woman who briefly resided there. Her name was Esther Cailingold, and she came to Palestine at the end of 1946 from England. A first class honours student who had grown up in a Zionist household, she came to Palestine convinced this was the only place for a committed Jew to live. After learning about the atrocities of the holocaust and experiencing post war British anti-Semitism, she packed her bags and came to Jerusalem. 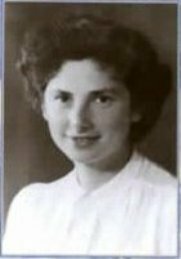 She first took up a position as a teacher, however she eventually joined the Hagana and participated in the battle for the Jewish Quarter in the War of Independence. Her job was to manoeuver between the different outposts of the besieged quarter supplying the defenders with weapons, food, or whatever supplies were needed. She was initially wounded after the first Arab attack on the quarter immediately after the British withdrawal, but was soon back to work, often scurrying across the exposed rooftops to reach her destination. A few days later, when the Palmach successfully broke through Zion Gate and reached the exhausted defenders, Esther was there to meet them, but as no reinforcements arrived to bolster their numbers they withdrew. One can only wonder how the course of history might have changed had extra help arrived. Another English woman is associated with an area a bit further along your trail. As you leave Mount Zion and make your way up towards the Hebron Road you will pass Mishkenot Sha’ananim on your right. This was the first neighbourhood built outside the Old City walls, in 1860. It was sponsored by the philanthropist Sir Moses Montefiore. He travelled to Palestine on seven occasions, five of them accompanied by his wife, Lady Judith. Their first stay stretched from February 1927 until May 1928. Travel at that time was by no means the simple affair that it is today and her willingness to participate in the journeys shows the depth of her dedication to the cause. Diaries from her first visit emphasise how deeply privileged she felt to be in the Holy Land, knowing that only six other European women had visited during the course of the century. Whilst their first voyage was more of a personal pilgrimage, later journeys were made in order to determine how they could play a role in the development of the country and alleviate the situation of their fellow Jews. She must have been held in very high esteem in the capital as she was accepted by all the religious authorities of the day and even allowed to place the bells on the torah during the synagogue service! Lady Judith agreed to become patroness to various charities and was known for her kindness and generosity. Every year she commemorated her birthday by giving donations to the needy and was especially generous in her largesse when she celebrated in Jerusalem. 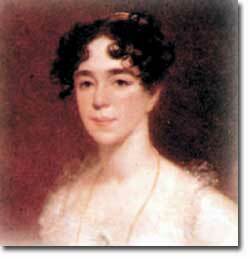 In addition to her diaries she authored the first English Jewish kosher cook book, published in 1846. She died over twenty years before her husband, who always credited her with the part she played in helping him throughout his successful career. As you complete that final uphill climb on Jabotinsky Street you pass the Van Leer Institute on your left. Established in the late 1950’s by Polly Van Leer, a Dutch immigrant and widow of a wealthy businessman, it was her vision that such a centre could contribute to making the world a better place. Polly believed that Israel should spearhead this effort and, the institute built on land granted by a special act of the Knesset, provides a forum for research in various fields such as philosophy, society, culture and education. She hoped the finest of minds could meet here to solve some of the world’s problems. In its desire to impact on Israeli democracy and justice for all its citizens the centre also offers a chance for Arabs and Jews to meet on neutral territory to discuss problems affecting society in Israel and overseas. This was only the first of the Van Leer family’s contributions to the capital. Polly’s daughter-in-law Lia, married the late Wim Van Leer in the 1950’s and their joint passion of film led them to open the first film archive in Israel. At that time, films that had been subtitled in Hebrew by the major international film companies and studios were destroyed five years after the end of their commercial run. By persuading these institutions to let her keep the distribution prints of these films Lia Van Leer succeeded in preserving historically important documentation of the country from long before it became a state. Their private home screenings eventually led to the establishment of cinematheques in Haifa, Tel Aviv and Jerusalem. As well as screening quality films and documentaries, the Jerusalem Film Institute is a place where Jews, Christians and Moslems from all backgrounds can meet and work together. You actually ran past it on the steep uphill stretch after leaving the Old City. Lia’s passion for film paved the way for the transition of cinema in this country from a mere vehicle for publicity and propaganda to a form of art and culture. She inaugurated the Jerusalem Film Festival which attracts some of the world’s top filmmakers as guests and also introduced prestigious cinema awards which have had a major impact on the quality of films Israel is now creating. 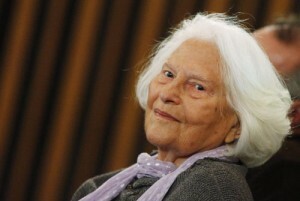 In her late eighties, Lia is still very involved in the development of Israeli cinema today. The final leg of the run takes you along Ben Zvi Boulevard, named after Israel’s second president. However, a small intersection along the busy road bearing the name Rahel Yannait Ben Zvi also pays tribute to his wife. Born in the Ukraine, her original name was Golda Lishansky. She came to Palestine in 1908 as part of the Second Aliya and, unusually for that time, decided to live in Jerusalem. She was one of the founding teachers at the Hebrew Gymnasium and was active in the early Labour movement. From the moment she set foot in the country she felt passionately connected to the land and its people. Because of her fascination with history and her admiration for the period of the Hasmoneans in particular, she took on the Hebrew name Rahel Yanait, after Alexander Yannai (husband of Queen Shlomtzion) who had enlarged the boundaries of Israel in the period of the second temple. However she usually answered to the epithet “havera” or comrade. She had very advanced beliefs for her time, believing that talented women could become great achievers and should demand equal work opportunities and pay and the option to study. She was a highly accomplished and talented role model. Apart from her work in the Labour movement she helped organize the Jewish watchman force “HaShomer”, she founded an educational farm for women teaching them agricultural skills, she was a commander in the Hagana and after the creation of the state was very involved in helping absorb the thousands of immigrants from Arab lands. The fact that she was very often the only woman in a particular organisation did not strike her as unusual. 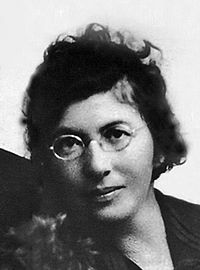 She married Yitzhak Ben Zvi in 1918 and they had two sons, one of whom was killed in the War of Independence. When her husband became president she was a very active first lady, making sure their home was accessible to all strata of society. She wrote ten books and several hundred articles and after her husband’s death set up the Ben Zvi Institute dedicated to research and publications on the history of the land of Israel. In 1978, a year before she died, she was awarded the Israel Prize for her “special contribution to the state and society”.